If you ever loved somebody, you would know why. This time I will tell you about Kiss the Rain, a song by Yiruma. I often say that music is music even if it has no lyrics, it will become music, no matter what. Try to listen to music or songs without deliberating its lyrics, if you do you’ll find out its real lustre beyond its so called lyrics. Lyrics are just an additional pseudo component in music. What is actually the real is what you can feel what’s in it, not by hearing it with your ears. It’s fake. Listen and feel it with your heart, and you can go beyond what your ears can hear, you will be able to find the soul, the core of it and definitely you’ll find out yourself in peace and harmonious backdrop. Kiss the Rain by Yiruma is a classical music which was beautifully composed in 2003 for the Album “the Yellow Room.” It is one of Yiruma’s best pieces. Kiss the Rain is a kind of modern classical music or many call it as contemporary classical, why it is modern? Yiruma who was born in 1978, is someone who is of course years more modern than years of Mozart or Beethoven or even Frederic Chopin’s. Yiruma, with his style, brings his peculiarly pattern and movement in every single piece he arranges. he He has phased a New Age of the classical music era. He brings modernism in classical music along with his structure and pattern of every single piece he creates. His pieces are undeniably hearable even for those who are not classical music devotee. 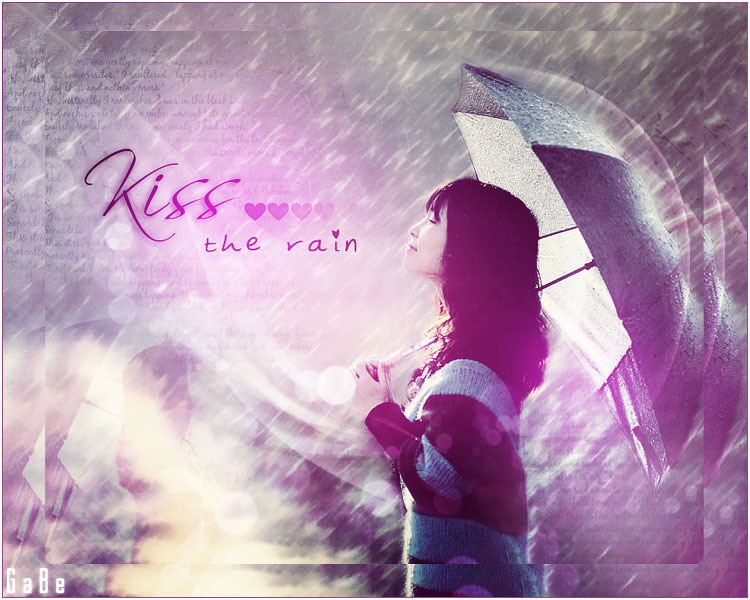 Kiss the Rain has melodious lilting notes. Every single tone perfectly shapes it up. No lyrics or voice sounding in it, but it rhymes elegantly swelling the flow of every key’s tone played dramatically by the virtuoso Yiruma. I hardly verbalize what I’m feeling when listening to it, seriously. It melodiously hits my ears, and brain and eventually you feel it, you literally feel it. It’s so relaxing, yet it’s not a lullaby which you can listen and after a while you sleep. It is not, absolutely not. You can hardly let this go off your ears. You will just enjoy it and feel it. It will amazingly make you in a sort of peace.